Olive Thomas was a famous silent film actress and Ziegfeld Girl who had a tragically short life. Before moving to New York City and finding fame in the Ziegfeld Follies, she lived for a short time in McKees Rocks with her family at 110 Patterson Street (according to the 1910 census). In 1911, she married Bernard Krug Thomas of McKees Rocks, and lived with his family at 404 Woodward Avenue. The couple separated in 1913. In 1915, while waiting for her divorce from Bernard Krug Thomas, Olive stayed with her mother and step-father at 411 Alexander Street. 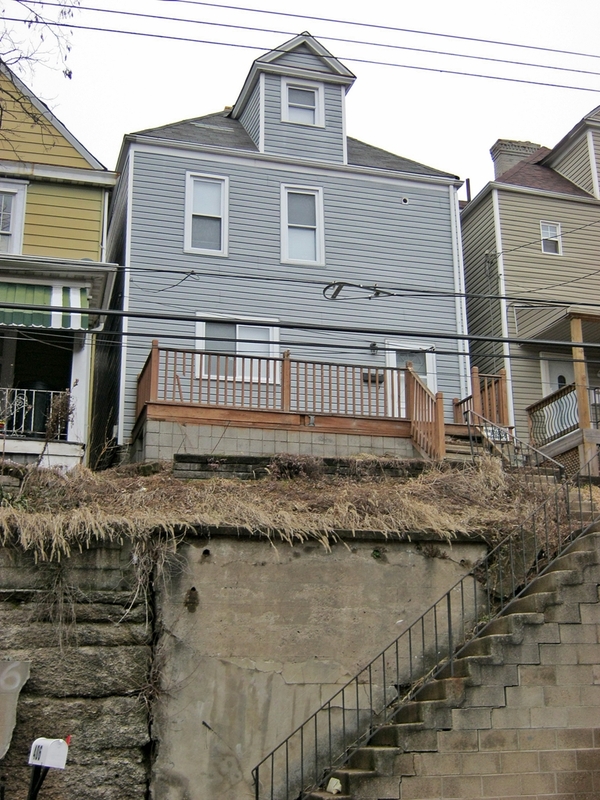 These three homes are still standing in McKees Rocks. I photographed the homes as they appear today. 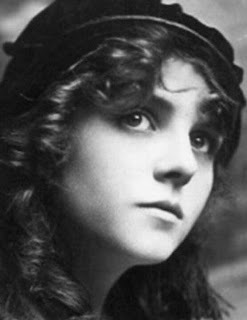 Olive Thomas married Jack Pickford, the brother of silent film star Mary Pickford, in 1916, and went on to become a successful actress in films. However, this success was short-lived. In one of the great Hollywood scandals of the time, she died in 1920 from accidental swallowing of poison. She was only 25. In 1931, Bernard Krug Thomas spoke to the Pittsburgh Press about his life with Olive in McKees Rocks. Reflecting on their courtship, marriage and how it all ended, he said, "Half of her wanted the real things in life, and the other half wanted the glitter of a make believe world." A big thanks is in order to the McKees Rocks Historical Society for helping me gather this information. 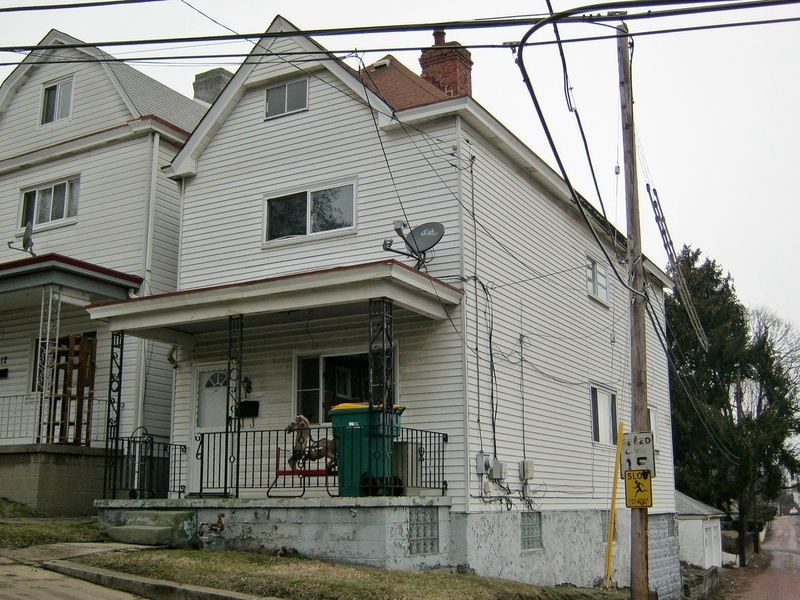 110 Patterson Street, McKees Rocks. This is where Olive Thomas lived with her family before marrying Bernard Krug in 1911. 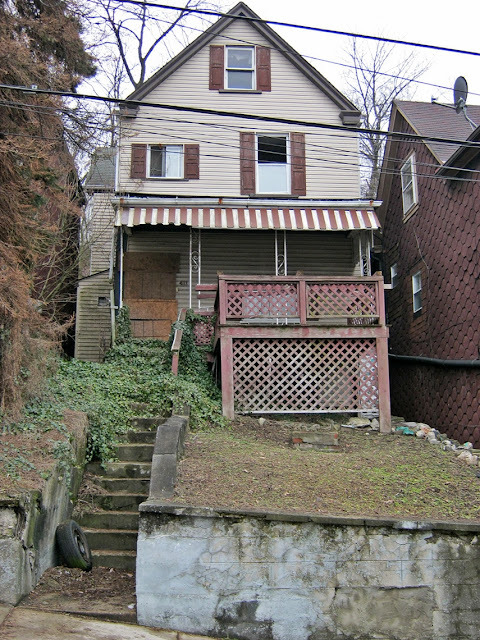 404 Woodward Avenue, McKees Rocks. This is where Olive Thomas lived while married to Bernard Krug Thomas, from 1911-1913. 411 Alexander Street, McKees Rocks. This is where Olive Thomas stayed while waiting for her divorce from Bernard Krug Thomas in 1915. Neat story. Thanks for sharing. Love that the houses are still standing.